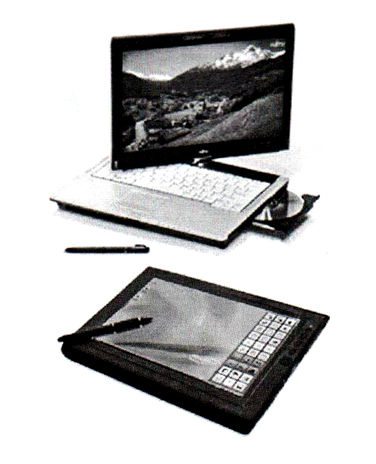 Shaped like a standard notebook with the keyboard and the screen can be rotated 180 degrees. The advantage is you can use it like a notebook and can type faster using the QWERTY keyboard. Since the screen can be rotated, vulnerable broken due to frequent playing. Other than that, the display model will be more severe than the slate models. Not having a keyboard and a screen that can be rotated. 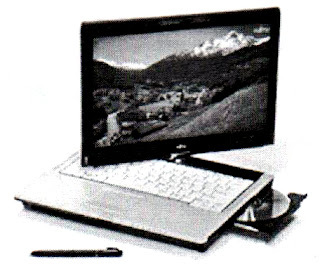 This shape is slimmer and lighter, as well as when it will be more comfortable to type on it. You do not need to rush to bring the keyboard. 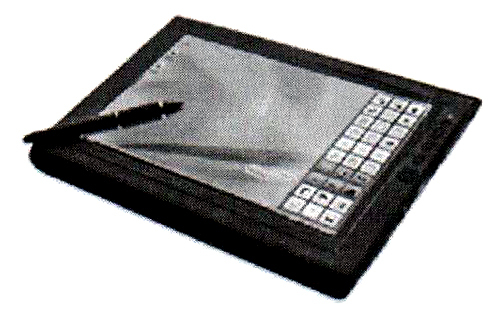 Input to the tablet using a pen that ability would be minimal when using the keyboard.